The anticipation of the return of The Walking Dead, whether it’s the start of a new season or the second half of one, is always exciting. Whatever gripes or grievances I’ll have had with previous episodes feel wiped away, as if diving back in after a hiatus means the series’ chance to start fresh and refocus. 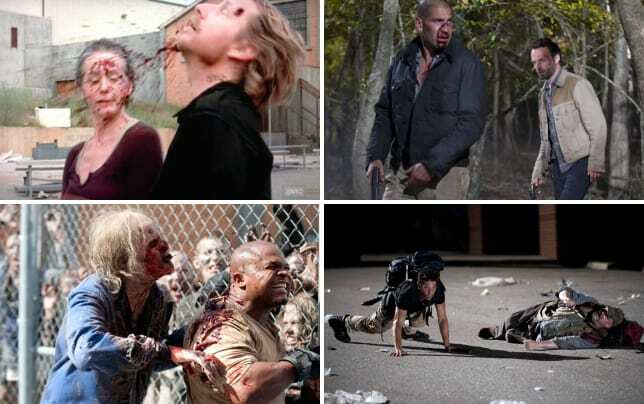 So to finally get Rick and the survivors out of Georgia in The Walking Dead Season 5 Episode 9 was such a thrill. I know much of the scenery during the hour still looked like Georgia, but just hearing Rick agree to take Noah back to his family in Virginia or seeing the road sign that said South Carolina were huge moments. Did it feel like the group breezed their way to the new location in no time at all when compared to all the lengthy traveling times it took them in Georgia alone? Sure, but it felt like the series was ready to move forward. However, it made me appreciate Michonne’s sentiments during the hour even more. Not only was she less hardened, but she openly talked about trying to find something beyond living the day to day. What better way than to give the group a destination like Washington? It doesn’t matter if the place is overrun (and probably is); it gives them a goal, a mission, a sense that there might be something better if they keep pushing forward. I liked hearing her discuss that, even if the hour was rather depressing about all the chaos that has taken place since the start of the zombie apocalypse. I just hope a trip to Washington will be worth it. I was a bit surprised that this hour wasn’t some explosive return or focus on the characters grieving Beth. Instead, we really only saw a select group of characters and the story was told in a way that felt very artsy with the flashing shots of places along Tyreese’s journey (that we’ve seen, anyway) and talking to dead people. I liked seeing the cameos (still miss Beth and Bob) though I’m surprised Tyreese’s girlfriend wasn’t there to chat. Yet I couldn’t believe that Tyreese was actually a goner (I kept thinking the group could save him.) In really bloody fashion, too. But hey, this is The Walking Dead after all. While the dreamlike sequence played out for perhaps a bit longer than I would have liked, that ending hit an emotional home. Just hearing Tyreese mutter “turn it off,” then closing his eyes followed by a shot of the group from far off as they pulled him out of the vehicle was tragic. The music certainly added to the moment as we watched the survivors bury their friend, the one who saves babies and forgives Carol. It was a powerful ending to close for the character who managed to hold onto his humanity. “What Happened and What’s Going On” was a very different type of episode from what we’ve seen before and, even if some of it slowed down in the middle of the hour, I was relatively engrossed in what was going on. It was rather surprising for a return episode, but I'm definitely eager to see where the second half of The Walking Dead Season 5 takes the survivors. It's just too bad Tyreese won't be able to continue that journey. Were you shocked Tyreese died? Will the group go to D.C.? 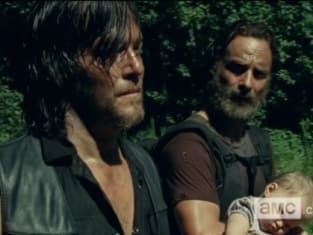 Sound off below, and if you want to catch up on the series be sure to watch The Walking Dead online right here at TV Fanatic! NOTE: The Walking Dead Season 5 Episode 10 will be titled "Them" and air on Sunday, February 15.